Technical tape measures all share the same major components. They are all enclosed in either a steel or plastic case. They utilise a friction type hold mechanism to stop the action of the interior retraction spring. Tape measures use a long metal “tape” with standard measurements to identify length. Most of these tape measures can be repaired, even if the tape measure itself is cut or sheared in two pieces; some manufacturers offer replacement parts. By following a basic process, you can quickly fix and repair that favourite tape measure. Use the proper screwdriver--either Philips or slotted--to remove the holding screw that secures the two halves of the case together. Carefully separate the two halves of the case. Use your thumb to hold the metal tape and retraction spring in place as you remove the top of the case. Once the top half of the case is removed, you can hold the metal tape and spring in place by adhering a piece of masking tape over the coiled assembly. Inspect the plastic hold down mechanism as this will easily slide out of the assembly. If the part is broken, replace the mechanism and reassemble the tape measure. Be sure to clean out the slides of the plastic movement as dirt and sawdust can accumulate in the grooves. Remove the metal tape if it is broken and needs replacement by slowly pulling the tape from the outside of the case enclosure. The case will still be open in this procedure. Use your thumb to hold down the retraction spring. You can keep the masking tape in place as an aid for retaining the spring and preventing it from "popping" out of the case. Replace the broken measure tape with the new one. You will need to have the new replacement tape fully extended or uncoiled. At this point, the spring coil will be under full retraction tension. The joint of the metal measure tape to the spring is a simple connection, where a male connector on the tape will fit into a female metal slot on the spring. Note that there may be a piece of masking tape holding the two pieces in line with each other. Be sure to replace this with a new piece of masking tape to cover the metal joint. Feed the new metal tape slowly into the case of the tape measure. The assembly will want to pull quickly into the case as the retraction spring is under full tension. Take your time and fill the case with the new tape. Replace the broken retraction spring by disassembling the tape measure in the above steps. Once you have removed the metal measuring tape and the broken spring, install the new spring into the half case. There will be a grooved slot that is cut into the centre post of the case. This grooved slot holds the centre point of the retraction coil spring. Slide the new spring into the centre post groove. Install the old tape onto the new spring using the instructions given in Step 5. Feed the tape into the case as depicted in Step 6. Reassemble the two halves of the case and tighten the holding screw. 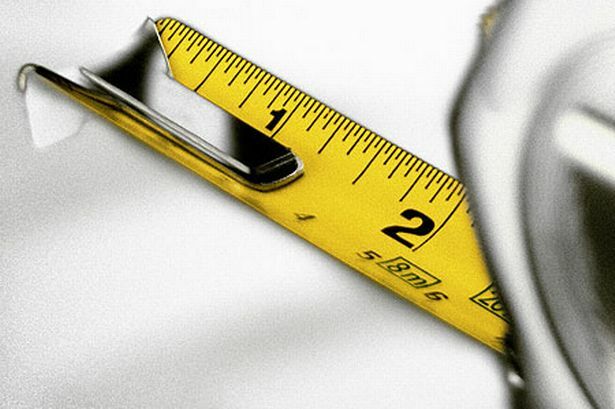 The repaired tape measure should be ready to give you many more years of service.